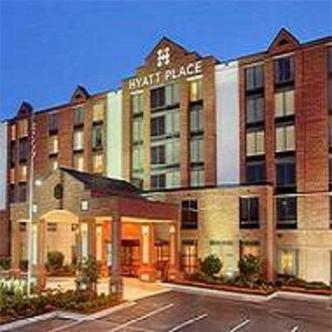 Hyatt Place is an exciting and innovative new select service hotel offering more of what is important to todays travelers. Our guests enjoy a spacious guestroom with a 42 inch high-definition flat panel TV, our signature Hyatt Grand Bed, a plush Cozy Corner oversized sofa sleeper that is separated from the sleeping area, and complimentary high-speed Wi-Fi internet access throughout the hotel. The innovation extends beyond the guestroom. Our Gallery is a warm and open area that features a self-registration kiosk, an intimate coffee and wine cafe, a TV den and an e-room with free access to a public computer and printer. Guests at Hyatt Place will also enjoy a free continental breakfast each morning and can purchase freshly prepared menu items, premium espresso drinks, or beer and wine 24 hours a day.